PERFECT FOR GRAPHING INTRODUCTION OR REVIEW! This assignment is great for homework or as extra credit for science/math classes. Perfect for sub plan enhancement. 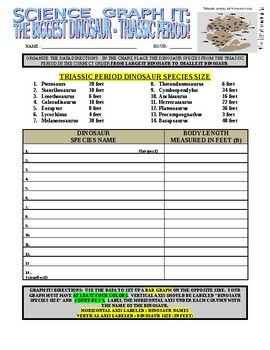 The assignment gives students data on 14 dinosaur species from the Triassic Period (data for dinosaur species and length is accurate). 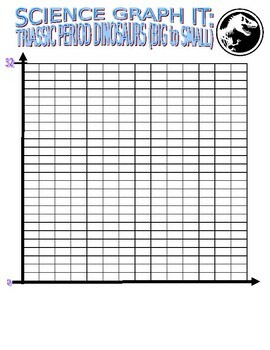 Students are tasked with organizing and graphing the data in descending order according to the directions (bar graph). If you enjoyed this product also look for bar graphs on Jurassic Period and Cretaceous Period Dinosaurs in my TPT store! Thank you for your purchase and positive feedback.